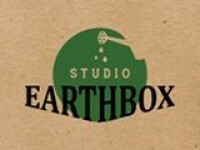 Studio Earthbox is a brand that creates beautiful handcrafted and artisanal products for the outdoors. Aiming to provide a new, functional and creative approach to urban container gardening, our products can transform your outdoor spaces and uplift your senses. From unique space saving designs to elaborate accent pieces, you will definitely find something that suits your requirement. Our range of products include a variety of planters, earth boxes, self watering planters, shelves, screens and attractive garden accessories. We also do complete balcony/patio/terrace makeovers and bespoke design projects for homes, restaurants, cafes, offices, etc.